THE SPANISH GOVERNMENT has agreed to the creation of a so-called bad bank to take on most of the trouble real estate assets of its banking sector, mirroring a move Ireland made in 2009 in response to the financial crisis. The agreement of the country’s conservative government was part of a condition for receiving some €100 billion in assistance for its bank from its fellow eurozone countries. In a situation which will be familiar to many in Ireland, banks have been weighed down by the cost of loans made to real-estate developers who built heavily prior to the collapse of the country’s property bubble in 2008. 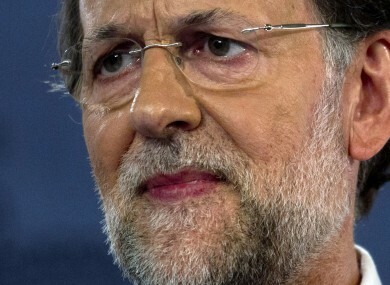 The new measures, agreed by the government of Mariano Rajoy yesterday, will also see the government banking agency, known as Frob, take on a greater powers to revamp banks which have been rescued, the New York Times reports. And as is the case in Ireland, the pay to senior management as well as board directors of banks that are in governemnt control will be capped at €500,000. Spain’s bad bank, which some have already christened ‘El Nama’ – a nod to Ireland’s National Asset Management Agency, will last for will last for between 10 to 15 years. The eerily familiar idea, outlined by the country’s Economy Minister Luis de Guindo, is that the the bank will buy an as-yet undetermined amount of bad loans and foreclosed property from lenders that receive eurozone aid. Spanish banks will receive cash, debt or shares in return for toxic assets transferred to the “bad bank”, he added. In December 2009, the Irish government established the National Asset Management Agency (NAMA) as a ‘bad bank’ to take on some €77 billion worth of toxic loans from the banks who received government bonds in return. It is attempting to sell off property and loans and recoup as much money as possible for the taxpayer. The latest reforms will force banks in Spain to strengthen their balance sheets by raising the ratio of core capital to 9 per cent of total assets from the current level of 8 per cent and the legislation also makes it easier for the government to take control of troubled lenders. “We are establishing the basis so that there will never be another crisis such as this one ever again,” the economy minister said. Olli Rehn, the Economics Affairs commissioner, praised the new measures as “an important signal of Spain’s determination to comply fully with the requirements and timeframe set out in the Memorandum of Understanding” on Spain’s banking bailout. The Spanish government now waits until later this month when it is expected to hear the final assessment on how much additional capital its banks will need from the European rescue fund. To add to the country’s woes, earlier this week the country’s largest region, Catalonia, announced that it needs a €5 billion bailout from the central government in Madrid. It joined Valencia which also requested emergency funding from the government to meet its obligations having been shut out of the international debt markets due to the rising cost of borrowing. Email “Sound familiar? Spain creates 'bad bank', limits bank execs pay to €500k”. Feedback on “Sound familiar? Spain creates 'bad bank', limits bank execs pay to €500k”.